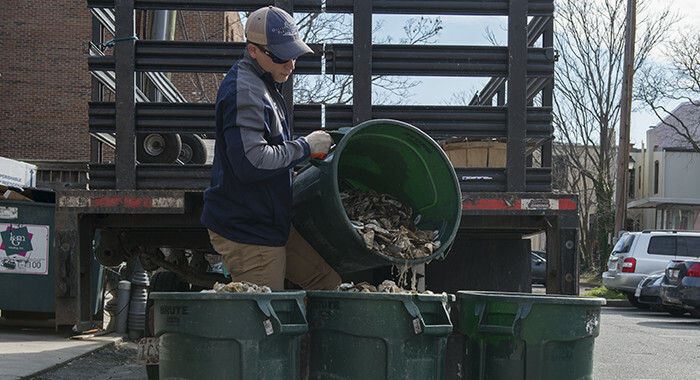 The Oyster Recovery Partnership’s shell recycling program has grown by 20 restaurants and caterers, and seven public shell drop-off sites over the past six months, boosting collection totals and the capacity for Chesapeake Bay oyster restoration projects. In an effort to expand shell recycling on Maryland’s Eastern Shore, ORP also established seven new public drop sites in Kent and Somerset counties. The Shell Recycling Alliance is the largest shell recycling network in the nation with nearly 340 member seafood businesses and 61 public shell drop off sites throughout Maryland, Washington D.C. and Northern Virginia. Natural oyster shell is vital to a healthy oyster population because it is the preferred material for oyster larvae to attach and grow. Once collected, the oyster shell is aged outdoors, washed and set with spat (baby oysters) by the University of Maryland Horn Point Oyster Hatchery in Cambridge, Maryland, and finally, planted on strategically chosen oyster reef sites where it can continue to grow and provide water quality benefits. 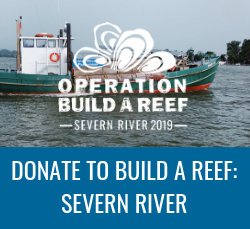 The Oyster Recovery Partnership is the nation’s leading nonprofit dedicated to the largescale restoration of oyster reefs in the Chesapeake Bay, and has planted 7 billion oysters on more than 2,400 acres of oyster habitat in Maryland since 1993. Learn more at oysterrecovery.org.